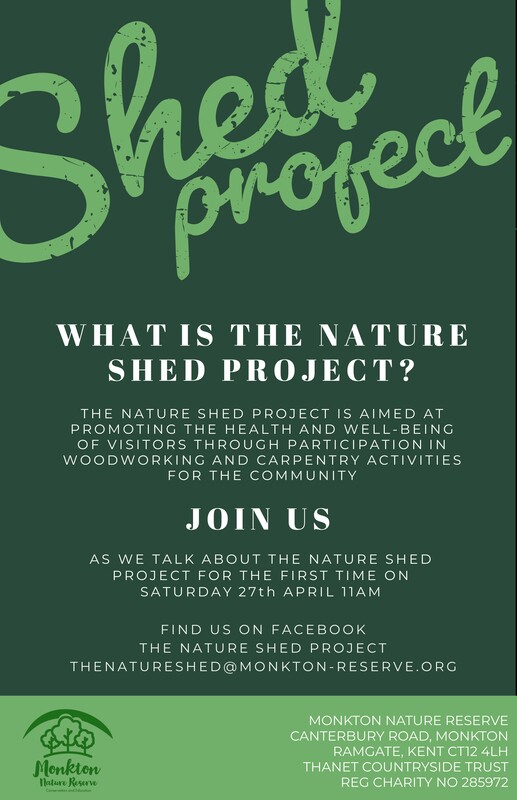 On Saturday 27th April Monkton Nature Reserve is hosting the first Public Meeting for the new Nature Shed Project. 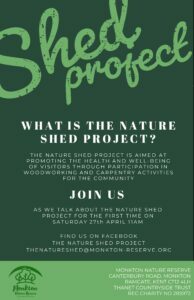 This project is aimed at people of all ages, inviting them to participate in meaningful and rewarding activities. The meeting starts at 11am, and will last for about one hour. For more information, head on over to the Events section.